Many people believe that a gruelling gym session, heavy weight lifting or a morning jog only can put stress on the joints and muscles. The fact is, these are mainly done following specific safety guidelines to prevent injury and joint pain. Even people who are not involved in such activities often experience pain in the joints. So what is the real reason for it? Pain is a way for the body to tell us that there is something to worry about. It is a sign that we are putting too much pressure or stress to a particular area that is making it uncomfortable. For example, most sports–related injuries are caused by sprains, damaged joints, and strains. Our body muscles and joints are used by us even when we feel like we are pretty relaxed. There are certain activities that we do effortlessly and on a daily basis. These activities would need minimum energy to perform. But what we don’t realize is the pressure it exerts on our muscles and joints. Without us noticing, such activities are damaging our joints slowly and results in chronic illnesses such as osteoarthritis, a condition of degenerative joints. Although it mostly affect older people, the reason could be the pressure exerted continuously on the joints over the younger years. There are certain activities that are performed by every one of us on a day today basis but we are unaware of the slow effect it has on our body, especially our joints. So if you feel pain, it is best to seek out professional help at the earliest. Ignoring them would make the situation only worse. Today we will discuss four such activities and how they are impacting our joints and causing chronic pain. You might wonder how can using phone and scrolling through it with feather touch can ruin your joints. The fact is, when you are checking your phone, your neck has to support your head weight three times the normal size. The longer or more frequently you check your phone, the quicker your neck gets tired. This will cause pain and stiffness in the neck. Also, while typing on keyboard, we put pressure on our fingers, ankles, shoulders and eventually neck. 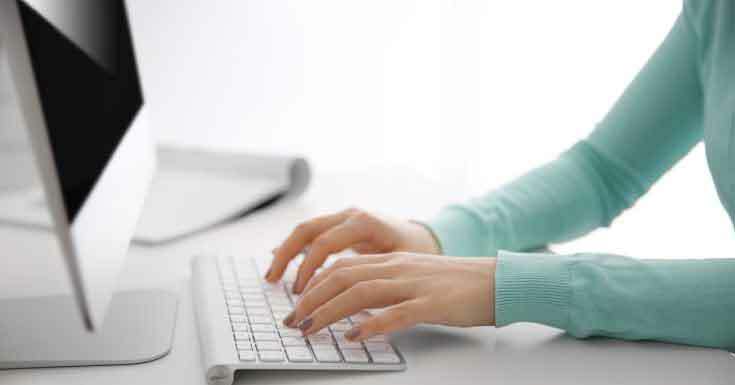 Typing for longer hours can eventually lead to pain and discomfort in hands, shoulders and neck. Studies show that mobile overuse can result in Trapeziometacarpal Osteoarthritis . Make sure you are seated comfortably when you use keyboards with proper hand rest, back support and head rest. Use a comfortable chair and align your posture with the monitor height so that you are putting minimum effort on your neck. While using phone, take frequent breaks and instead of looking down, bring your phone up in front of you to avoid bending the neck too much. When you are driving, you are using your legs and hands alike. This exerts pressure on your posture, making it stiff. Adding to it, heavy traffic and car vibration can put excess pressure on your neck, shoulders and knees. Long drives can make the situation even worse when you are driving for hours without breaks. A study on taxi drivers showed that increased amount of knee pain depending on the hours. Take breaks in between driving and adjust your seat in a way that you are most comfortable. Change your seating position in between so that you are not putting too much pressure on one joint for too long. Ensure that your shoulders and neck are relaxed and comfortable. Use your head rest to support your head so that you put less pressure on your neck. Also See Theraworx Relief Review: The fast-acting supplement helps to fight and prevent muscle cramping. Almost everybody is a victim of this one. Posture plays a key role in maintaining your joint health. If you are someone who works in the same position for longer hours such as the typical 9-5 job, looking at a computer, you are at a higher risk of damaging your joints. By sitting in one position without mobility, you are exerting continuous pressure on many joints at once . This problem can be addressed by taking short breaks and walks in between. Do a complete stretch every hour so that your muscles and joints do not get a chance to become stiff. Also, ensure that you sit with proper back rest and head rest. Make sure to stand up or go for a walk every 10 -20 minutes. All of us perform a myriad of household chores daily including dusting, moping, tidying, carrying heavy shopping bags, and washing that use various muscles and joints and require different levels of physical movement. Some of the movements would be repetitive while some others would be just holding onto one particular posture for a long time. Sometimes these movements would be comfortable and sometimes stressful. Some of these activities can cause injuries to joints if done in a hurry or without proper care. Most of the time, physical household activities impact our back, shoulder and neck joints. One of the methods to eliminate or reduce is to take frequent breaks. As much as you want to finish all of them at one go, consider it as an exercise regimen. You need warm up and cool down. So after each activity, take 10 -15 minutes and relax your body. Do light stretching and always remember to keep a good posture no matter what activity you are doing. Many of us are not even aware of the fact that daily activities are affecting our joints. Since it does not create an impact like exercise or intense workout does, any temporary discomfort or pain is often neglected. This continuous stress caused on the joints can result in chronic illnesses like arthritis, ligament tear, spinal injuries and many more. But it is also important to understand that making certain minor lifestyle changes and by taking the minimum precaution, we can easily reduce the stress exerted on the joints and prolong our flexibility and mobility. 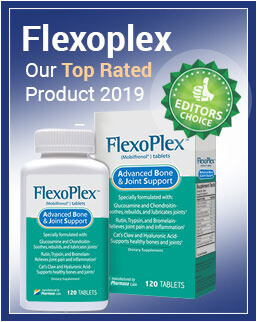 If still pain persists then you can go for joint pain relief supplement like FlexJointPlus. The supplement may help people with damaged joint tissue.